It was fifth time lucky for Morty, but the wait is now over. Peter Morton's Carkeek 40+ Girls on Film has won the 2016 One Ton Cup. 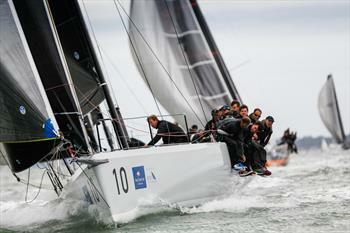 The Cowes based team were worthy winners having scored no worse than a fourth in nine races. Peter Morton has come second in the One Ton Cup on two occasions and the attempts to win the prestigious trophy span over three generations. "It has been unfinished business." smiled Peter Morton, rinsed in champagne. "The team on Girls on Film have ben absolutely fabulous. I would also like to thank the Royal Southern Yacht Club and Principal Race Officer, Stuart Childerley and his team for outstanding race management. Also Rob Greenhalgh for coming up with the idea of the FAST40+ Class and putting it together. For those of you that haven't won, I would say just be patient, your time will come. "Alex Mills at the helm of Ker40+ Invictus was runner-up, Invictus tactician and FAST40+ Class President, Robert Greenhalgh, congratulated Peter Morton and the Girls on Film crew. "At the beginning of the season, we didn't really know what to expect. The class has grown far quicker than we expected and it is continuing to attract more owners and sailors. The FAST40+ is an ideal boat for the Solent and during the season, the racing has got tighter and tighter. The One Ton Cup is our biggest event and to have nine boats make the podium just shows how competitive the FAST40+ Class is." On the final day of racing, Mike Bartholomew's South African GP42 Tokoloshe was the winner of the penultimate race of the regatta and Bill Coates Texan Ker 43 Otra Vez finished the One Ton Cup in style winning the final race. 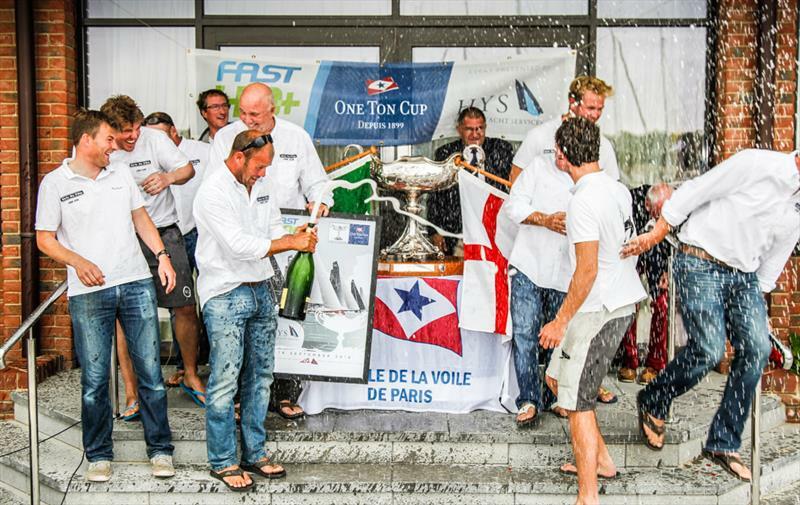 The One Ton Cup owned by the Cercle de la Voile de Paris, presented by Hamble Yacht Services and organised by the Royal Southern Yacht Club, took place between 16-18th September in the Solent, UK. Nine races completed with a mixture of windward-leeward and weighted points factor longer races.